Next time there’s a foot-thick wall of beef between you and your wi-fi router when you’re in the middle of a Netflix binge, have no fear: researchers at The University of Illinois at Urbana-Champaign have developed a method of transmitting data through animal tissue at high speeds. That’s not even the best part – the researchers are calling the technique MEAT-COMMS. While some physical considerations of ultrasonic communications through tissues have been considered and some practical guidelines established, the ultrasonic communication channel in the body has not been fully characterized and as a result the full potential for high speed communications using ultrasound has not been realized. This breakthrough represents the first time that bio-medical engineers have been able to send data through animal tissue at high speeds without using radio frequencies, which have the potential to damage tissues or cause cancers and have strict limits placed on them by the Federal Communications Commission (FCC). 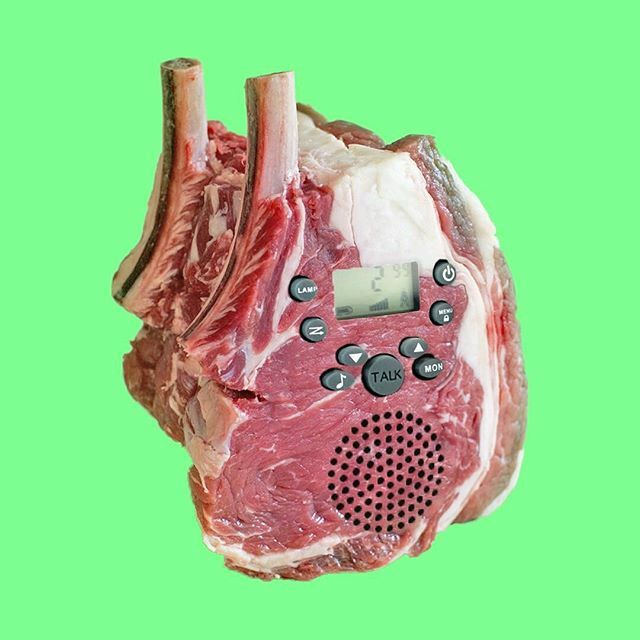 This new MEAT-COMMS technology instead uses near-harmless ultrasonic sound waves to carry data between devices. Research is also being conducted to test possible methods of recharging batteries inside implanted devices using the same ultrasonic forms of energy. Ultrasonic energy is currently the subject of much cutting-edge engineering research. Potential applications include ultrasonic faucets than can clean up to 1000 better than water, new ultrasonic welding technologies, or even experimental methods of changing memories using ultrasonic waves to target neurons.